How to watch Teen Titans Go! 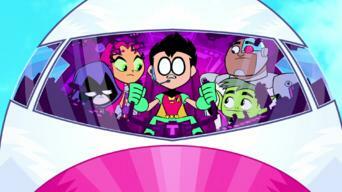 : Season 3: The Teen Titans Go Easter Holiday Classic / Rad Dudes with Bad Tudes on Netflix Brazil! Yes, Teen Titans Go! : Season 3: The Teen Titans Go Easter Holiday Classic / Rad Dudes with Bad Tudes is now available on Brazilian Netflix. It arrived for online streaming on February 7, 2018. We'll keep checking Netflix Brazil for Teen Titans Go! : Season 3: The Teen Titans Go Easter Holiday Classic / Rad Dudes with Bad Tudes, and this page will be updated with any changes.